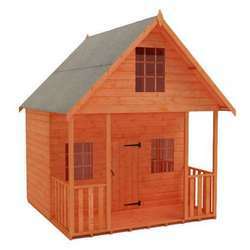 Corner log cabins are a great solution for small and awkward garden spaces. 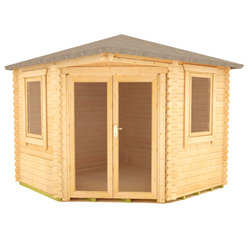 Designed to fit into tight corners, these custom cabins maximise space so you can enjoy the luxury of a log cabin even if you don’t have a large garden. 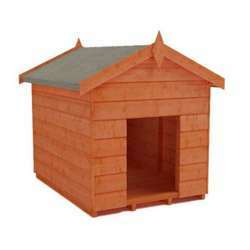 A Tiger Sheds corner log cabin is versatile and stylish. 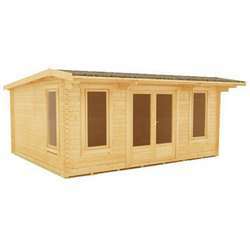 Use as a home office, storage space or a light and airy garden room. 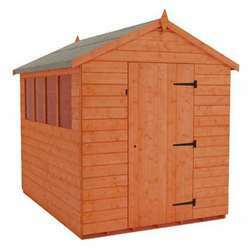 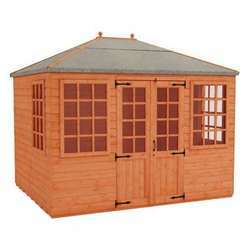 Choose one of our catalogue cabins or customise your own with shingles and flower planters. 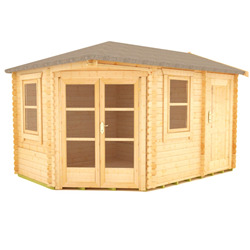 Make the most of your space with a corner log cabin. 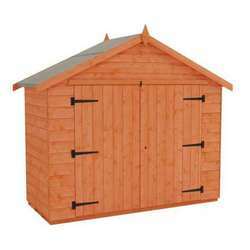 All of our products are delivered free throughout most of mainland GB (exclusions apply).